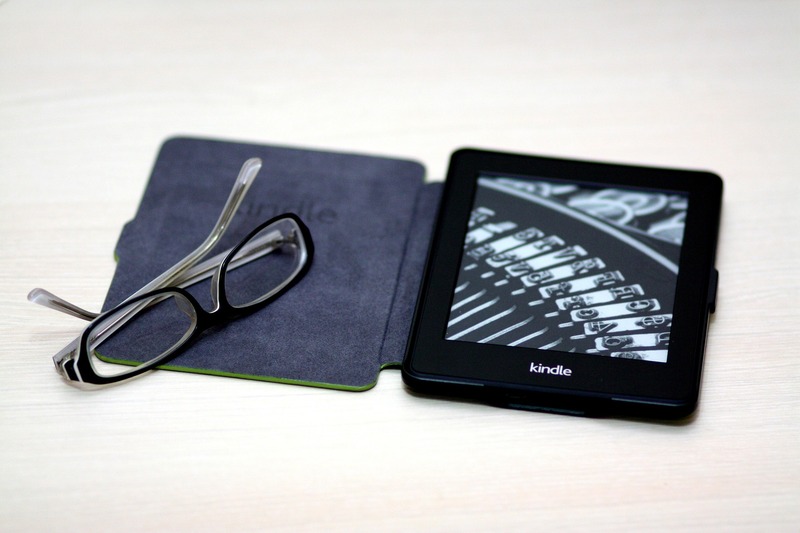 The Kindle turns ten years old this year. A good time to ponder the question, What hath Bezos wrought? 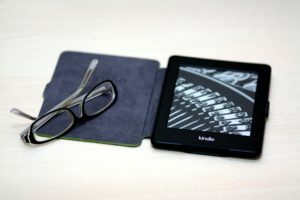 The question comes on the heels of a controversial article from The Guardian UK, which posits that the downturn in e-book sales in 2016 may be related to “screen fatigue.” We simply spend too much time on our phones, computers, tablets, and TVs that the printed page is kind of a relief, says the author. Still, one might ask if reading habits are changing or morphing back into pre-Kindle practices. So I’d like to throw this open to the TKZ community and visitors. What are your reading habits like today as opposed to ten years ago? Has anything changed more recently, say in the past five years? Here’s my answer. When I got my Kindle as a Christmas present in 2010, I was giddy. You mean I can carry around the complete works of Dickens? For 99¢? And Jack London? All in this nifty little device? Cool! And then there is the massive Project Gutenberg library, with so many public domain works — fiction and non-fiction — available for free. I did continue to frequent my local Barnes & Noble, however, where I would purchase the occasional new release from a favorite author. But my nearby B&N is no more. The last time I was in a B&N was out of town, about six months ago. The last new print book I purchased, at full price, was on that day. It was a mass market paperback called Nick of Time by a guy named Gilstrap. I’ve pretty much stopped buying physical books, in no small part because my bookshelves are stuffed. There are volumes stacked on the floor. I’m in the slow process of trying to weed these out, though I find parting to be of such sweet sorrow I often end up reading rather than weeding. My wife has to get me back on task. At least I don’t add to the glut by buying new books. I’m using the L.A. Public Library system more than at any time since I was a kid. I’m also listening to more library-loaned audio books via OverDrive. As far as ebook purchases go, I find myself resistant to prices above $7.99. When I see that a publisher is pricing the ebook the same (and sometimes higher) than the hardcover, I actually snort, shake my head, and go light a candle for the poor author. So how does all this shake out? I still love having a massive Kindle library. I also love having a dedicated Kindle. Not a tablet. I don’t want to multi-task. When I’m on a plane, or waiting somewhere, I just want to read. I like the ability to highlight books on the Kindle, especially nonfiction. That way, I can print out a 2-5 page précis of the salient points for review and study. I’ll read on my phone via the Kindle app, but only on occasion. My eyes favor the E ink of my 2nd Gen. Kindle, the one I got for Christmas. (Though I’ve heard the Kindle Oasis absolutely rocks, so that may be in my future). I have heard reports, however, that among the youngsters they do virtually everything on their phones now, including reading. Very rarely do I buy new printed books anymore. Your turn. 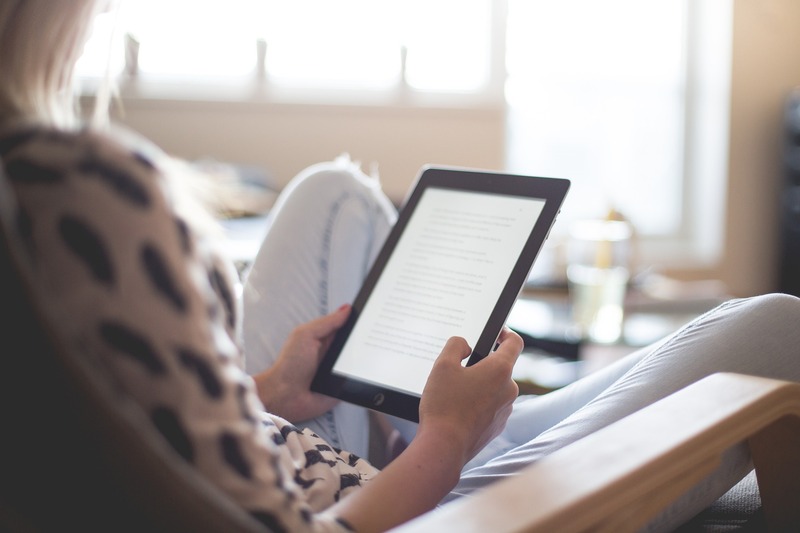 What are your reading and buying habits now in the age of the Kindle? I’m asking that you chat this up amongst yourselves, as I am currently in an undisclosed research location and may not get to comment. So dive in!